The sidewalk canopy at Reno-Tahoe International Airport covers TSA-provided security and baggage screening equipment located at the airport’s curbside check-in areas. The 500-foot-long by 30-foot-wide structure increased queuing capacity directly outside the existing terminal building. 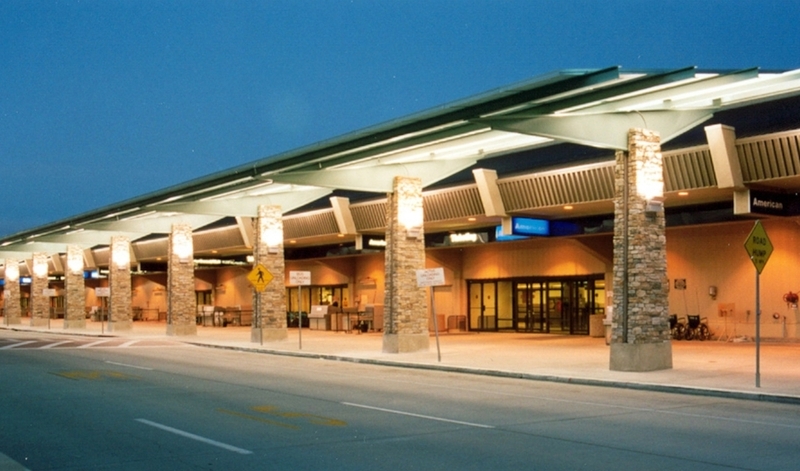 The canopy is constructed of stone, wood and polycarbonate panels to complement the Lake Tahoe theme of the terminal’s interior.